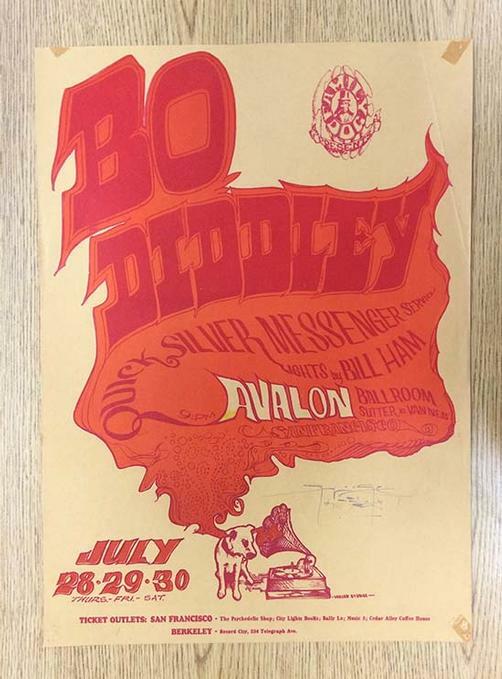 Original first printing concert poster for Bo Diddley at The Avalon in San Francisco, CA in 1966. 13.75 x 19.25 inches. Handling marks, creases, pinholes and tape at corners. 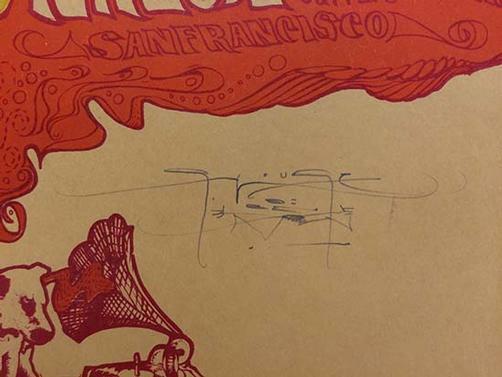 Hand-Signed by Stanley Mouse.